MALIN + GOETZ TRAVEL SIZE SKINCARE KITS NEW & SEALED FROM ONLY £2.00 FREE POST ! This is a BareMinerals skinsorials giftset. It is a 3 part ritual for your most beautiful normal to combination skin comprising:-. HAWAIIAN TROPIC DUO DEFENCE SUN LOTION 7.4ML. MIXED SKIN/FACE CARE SAMPLES TRAVEL SIZE. COMFORT ZONE BODY STRATEGIST GEL REFRESHING LEG GEL 10ML. PHILOSOPHY REFRESHING & REFINING EYE CREAM 2ML. MURAD REFRESHING CLEANSER 45ML. No7 BEAUTIFUL SKIN COLLECTION GIFT SET IN A PRESENTATION BOX (#162227696970) £13.99 View Item. Give her skin a boost of radiance and hydration this Christmas with the No7 Beautiful Skin gift set. 1 x 30ml No7 Beautiful Skin Cleansing Lotion. Face Cleanser (24). Microwavable Wax (7). Shampoo (22). Wax Heater (19). • 1x Cleanser 150ml. Cleanser (3). Hair Colour (243). Hair Removal Kit (65). CLINIQUE GIFT SET. · Clinique makeup bag. · High Impact Mascara 01 Black 3.5ml. · Long Last Glosswear SPF15 10 Air Kiss 2.3ml. · Blushing Blush Powder – Bashful Blush 1.8g. Decleor Beauty bag. Orexcellence Energy Concentrate Youth Cream (15ml). Aroma Nutrition Dry Oil For Skin & Hair (15ml). (AURABSOLU INTENSE GLOW AWAKENING). Presented in a Decleor bag. A DECLEOR BEAUTY BAG (2ND PICTURE). Start with the DECLÉOR AROMA CLEANSE Hydra Radiance 3in1 Cleansing Mousse, this triple-action cream cleanser contains a combination of outstanding active ingredients to leave skin feeling beautifully clean & smooth. AURABSOLU INTENSE GLOW AWAKENING CREAM 15ml. Decleor First Signs of Ageing Gift Set consisting of the following face & body products Presented in a Decleor bag. 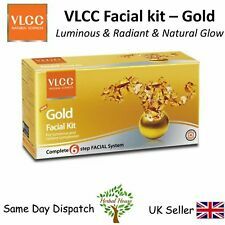 For skins showing the first signs of ageing. Dermalogica dry skin kit, ideal for drier skins. Dermalogica essential cleansing solution, 50ml. Dermalogica multi active toner, 50ml. Dermalogica gentle cream exfoliant, 10ml. CLINIQUE SUPERDEFENSE NIGHT CREAM 15ML. MAKEUP BAG. HIGH IMPACT MASCARA 3.5Ml. Elemis - FULL SIZE Papaya Enzyme Peel + 2 Travel Size Items. Condition is New. Cotton drawstring travel bag. Elizabeth Arden Visible Difference Skin Balancing Starter Set is great for normal to combination skin. Discover the difference this can make for your skin with this complete starter set. Hypnose mascara black 2ml. Matte shaker 3ml. Mini make up brush. Peter Thomas Roth Travel Bundle - Includes 6 Products. Condition is New. Dispatched with Royal Mail 2nd Class. This great value bundle includes: * Anti - Aging Cleansing Gel, 57ml. * Irish Moor Mud Purifying Cleansing Gel, 30ml. * Firm X Peeling Gel Exfoliant, 15ml. * Cucumber Gel Mask, 30ml. * Irish Moor Mud Purifying Black Mask, 50ml. * Skin To Die For Mattifying Primer, 7.5ml. Use for on Holiday or as an Introduction to the Brand. 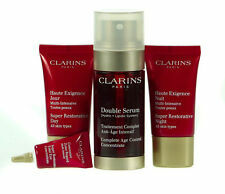 This gorgeous ladies 6 piece skincare travel set from Clarins includes Eye Contour Gel 3ml. Beauty Flash Balm 15ml. Gentle Foaming Cleanser (Normal to combination skin) 50ml. Peter Thomas Roth 4 Item Travel Set. This great value bundle includes: * Irish Moor Mud Purifying Cleansing Gel, 30ml. * Firm X Peeling Gel Exfoliant, 15ml. * Cucumber Gel Mask, 30ml. * Irish Moor Mud Purifying Black Mask, 50ml. Use for on Holiday or as an Introduction to the Brand. Clinique Gift Set. Clinique Clarifying Lotion 30ml. For very dry combination skin. This set includes. Condition is New. This detoxifying gel wash not only envelopes skin with a soothing, non-drying lather, but it gets to work deep within the pores to foam away impurities. Charcoal Face Wash.
BNIB Benefit Totally B.Right! Skincare Gift Set 6 Items Travel Size. Condition is New. Dispatched with Hermes Tracked. Brand new travel size skin care set. They are from a pet and smoke free family. Plus eye liner and sun serum 5ml. CLEAN - Anti Blemish Solutions Cleansing Gel 30ml. Anti Blemish solutions Clarifying Lotion 30ml. Daily routine to keep skin clear of Acne. ANTI-BLEMISH SOLUTIONS SKINCARE SET. Perfect size to try. Clinique Bonus Time - 8 items comprising: Dramatically Different Moisturising Lotion 15mls; Moisture Surge Overnight Mask 7mls; Take The Day Off Makeup Remover 50mls; Pep-Start Eye Cream 7mls; Quickliner for Eyes Intense 09 Intense Ebony 1.4g; Pop Splash Lip Gloss Hydrator 06 Adore U; Chubby Stick moisturising Lip Colour Balm 07 Super Strawberry 1.2g; and Cosmetic Bag. Boots No7 Step Into Spring Gift Box - BRAND NEW IN BOX! Clinique 3-Step Intro Kit Skin Type 2 - Dry Combination. Set includes . Benefit Mini Face Cream Set Moisture Firm Potent Eye Serum Lotion all Travel Size. Includes; 1x Moisture prep toning lotion 8.9ml 1x firm it up eye serum 2.5ml 1x instant come back facial serum 5ml 1x it’s potent brightening eye cream 3g 1x total moisture facial cream 8.9g 1x air patrol eye lid primer 1.5ml 1x the pore fessional Matt rescue sample Condition is New. Dispatched with Royal Mail 2nd Class. Transform your skin with the bareMinerals Skinsorials A 3-Part Ritual For Your Most Beautiful Skin - Normal To Combination Set. Designed for normal to combination skin, the 3-part routine will reveal skin that is fresh and luminous. Shave: Cream Shave 60ml. Cleanse: Face Wash 30ml. 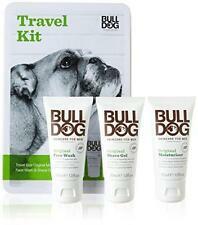 TRY & TRAVEL SET. Superdefense SPF 20 Age defines eye cream 15ml. LIZ EARLE Hey Bright Eyes Gift Set Soothing eye lotion, eye cream, headband BNIB. Condition is New. Dispatched with Royal Mail 2nd Class. Sf/pf home. Clarins Travel Size Facial Cleansers. Condition is New. Dispatched with Royal Mail 2nd Class. The Goldenpearl skin polishing sachet kit includes 6, 10ml sachets and is a process to accomplish polished skin. All details are on the container and on the sachet of the kit which I have provided images of. This item is famously in my area but isn’t available on eBay. The ingredients are listed in the images, so be aware of any irritating products for yourselves however, I have tried it and felt nothing unusual on myself. I would say, give it a go if possible! Clarins Gift Set - Face tonic and oil, Body Fit, Neck cream and Estee Lauder bag. Dispatched with Royal Mail 2nd Class. Lotion Tonique with Camomile, alcohol free -50 ml. Blue Orchid Face Treatment oil - 5 ml. Super Restorative Decollete and Neck Concentrate -8ml. Body Fit Anti Cellulite Contouring Expert -8 ml. Estee Lauder Cosmetic Bad Please note- the EL bag, Body Fit and Neck cream are brand new and unused. I have tried once the lotion and the face oil ( see the last photo for the used amount). The set was gift from Clarins after I purchased the full size Body Fit. All fresh. Will post within 1 or 2 working days. Please check my other items. Thanks for looking and happy bidding. An ultra-rich shaving cream developed to soften skin and lift facial hair. Suitable for all skin types, the refreshing formula works to gently, yet deeply cleanse the skin. Designed to hydrate whilst removing excess oils and dirt, the energising face wash leaves you with soft, smooth skin and easy-to-manage facial hair. Epionce Healthy Skin Discovery Set Normal/Combo! New! Fresh! FAST SHIP! SALE!